Labour won a seat in Buckinghamshire but lost one to the Lib Dems in Bradford and one to new party Aspire in Tower Hamlets, making for disappointing results in the latest round of council by-elections. In Buckingham, where a by-election was sparked by the death of East Wycombe Independent councillor Chaudhary Ditta, Israr Rashid won. He was listed as the Labour candidate on the ballot paper. Rashid is suspended from the party, however, and will therefore take his seat as an independent, LabourList understands. 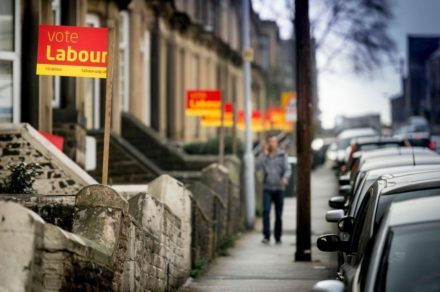 The vote in Bradford, sparked by the death of former council leader Ian Greenwood, saw Labour lose a volatile seat. Labour’s Amriz Hussain was defeated by Rachel Sunderland, a Lib Dem who had occupied the seat before it was taken by Labour last year with only a 90-vote majority. Two by-elections in Tower Hamlets, caused by the resignations of Labour’s Muhammad Harun and Ruhul Amin, who only took their seats last year, offered typically controversial results. Aspire, described by Andrew Teale as the “more hardline” faction of Luftur Rahman supporters, was founded a year ago. It has now won its first seat in Shadwell ward, and came second in Lansbury ward. Labour’s losing candidate in Shadwell, Asik Rahman, became controversial when found to have ‘liked’ the Facebook pages of two hate preachers. The successful Aspire candidate, Harun Miah, represented the ward from 2010 to 2018. Rajib Ahmed, who was a Tower Hamlets councillor until last year, defeated Aspire’s Ohid Ahmed to win back the Lansbury seat for Labour this week. Meanwhile, Labour held onto its seat in Lambeth, though with a lower vote share.